At Bramleys we let and manage a variety of furnished and unfurnished houses and apartments across the West Yorkshire region. We have a good level of take up of property so the available stock changes on a daily basis – use the search form on the right to browse our available stock. The first step is to locate the property you wish to rent. This can either be done by looking on the website, or registering with us and we will add you to our extensive mailing list and email you details regularly. Once you have found a property you wish to view, please contact us and we will arrange a suitable appointment for you to view. We undertake accompanied viewing throughout the daytime, evenings and weekends. Please note some properties will have restrictions such as pets etc. Once you have decided you like the property just call and we will forward you the relevant information for referencing. We require as a minimum, satisfactory references from your employer, previous landlord, sometimes a personal reference or guarantor. We will also complete a credit check. The referencing service is carried our by an independent 3rd party referencing company. Rents are usually quoted per calendar month, and payable in advance. The tenant is also responsible for the council tax, water, electric and gas charges. 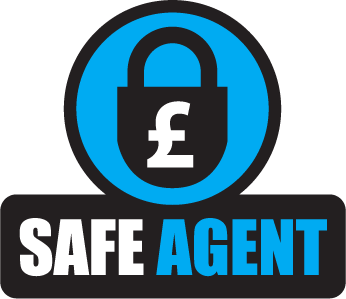 Deposits are collected prior to move in and treated in accordance with the Tenancy Deposit Protection regulations and we will advise you which protection scheme is utilised. The deposit is held to cover damage, breakages and any other liabilities under the terms of your agreement. * Proof of residency eg: recent bank statement or utility bill less than three months old. Please note that we will take up a full credit reference on each applicant prior to taking over the tenancy of a rental property. Should the 'reference' be declined for any reason the fee paid is not refundable. In order to comply with the Immigration Act 2014 (Part 3, Chapter 1) the landlord is responsible for checking the immigration status of all applicants. As part of our service we will do this on your behalf. The landlord will be responsible for any further work needed under the Immigration Act.